Looting Greece examines how and why the Syriza party, which took power in January 2015 promising to end eliminate debt, end austerity, and return Greece to economic growth, ended up agreeing to a deal much worse than its political predecessors in 2010 and 2012. In the new 2015 debt deal, pensions are reduced even more than before, retirement ages raised, temporary pension restorations of early 2015 for the poorest rolled back, workers' right to strike and collectively bargain further limited, mass layoffs now made legally possible, more government workers and teachers may be laid off and have their wages cut, taxes are raised on households, farmers and small businesses across the board, and social safety nets further shredded. To additionally pay for the $98 billion in new loans from the Troika-more than $85 billion of which will go to pay previous debts to the Troika and European bankers-sales of Greek public assets are expedited and the list of projects to be 'privatized' even further expanded. How the Euro Troika bureaucrats effectively subdued and conquered Greece economically, in the process destroying its democracy, is traced in a series of articles written from February through August 2015 as the Troika and Syriza negotiated over debt and austerity. Why the Troika set out to destroy Syriza and how Syriza ended up destroying itself are discussed, as well as how the respective strategies and tactics of both parties resulted in a final agreement in August 2015, which was not only worse in austerity terms compared to previous deals, but established new arrangements for ensuring debt repayment that are unique to recent debt deal restructuring. Placing the Greek events of 2015 in broader historical perspective, the book argues a radical new neoliberal initiative in Europe has emerged: in the 2015 debt deal the Troika will now directly manage Greece's economy-running its banks, writing Greece's budget, vetting and replacing government ministers, exercising veto rights over Greece's parliament and Executive agencies, dictating its taxes, and implanting 'Troika Commissars' to watch over and approve day to day decisions of Greek government at all levels. 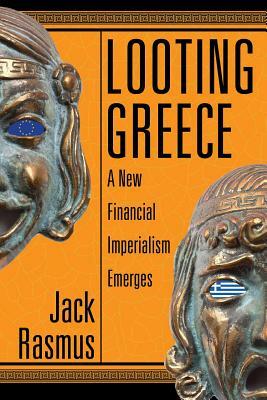 The book concludes with a critique of the critics of the events in Greece in 2015, noting they miss the fundamental point that a new kind of imperialism is being forged in Greece.